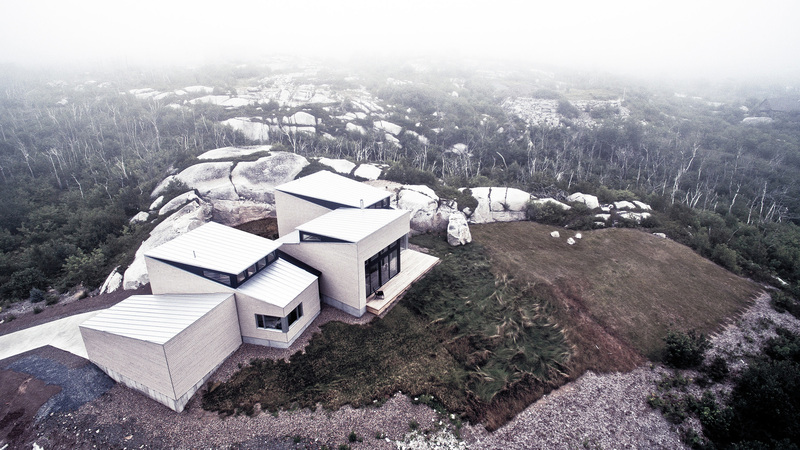 Inspired by nature, The Float House takes its form after the irregular formations of the rocks disconnected from an outcrop, called a ‘bedrock float’. 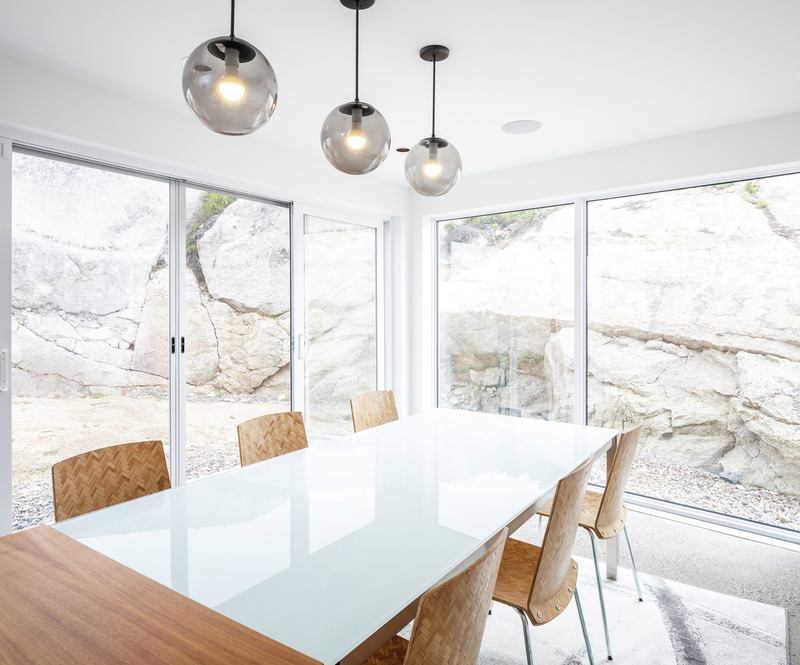 Situated in the rocky terrain of Purcell’s Cove, Nova Scotia, The Float House is encircled by a rugged environment which influenced its unique composition. 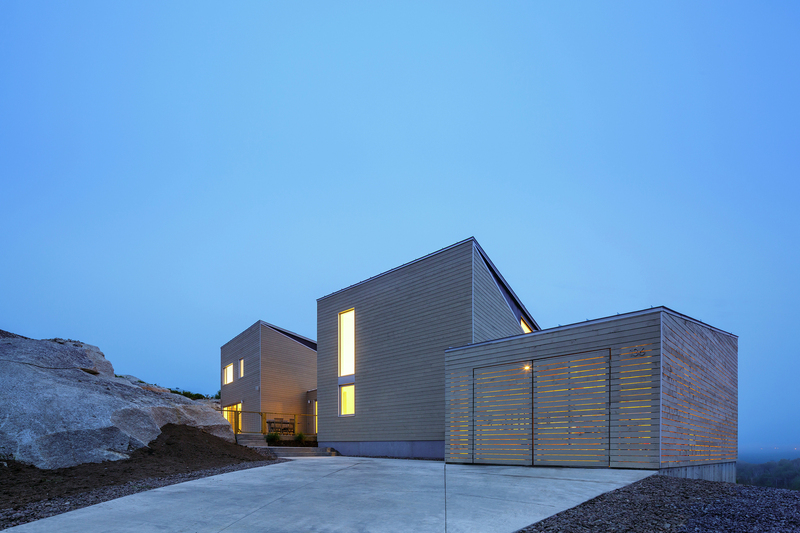 The roof is intentionally jagged and unlevel, ensuring the interior volume reflects the natural landscape's terrain. 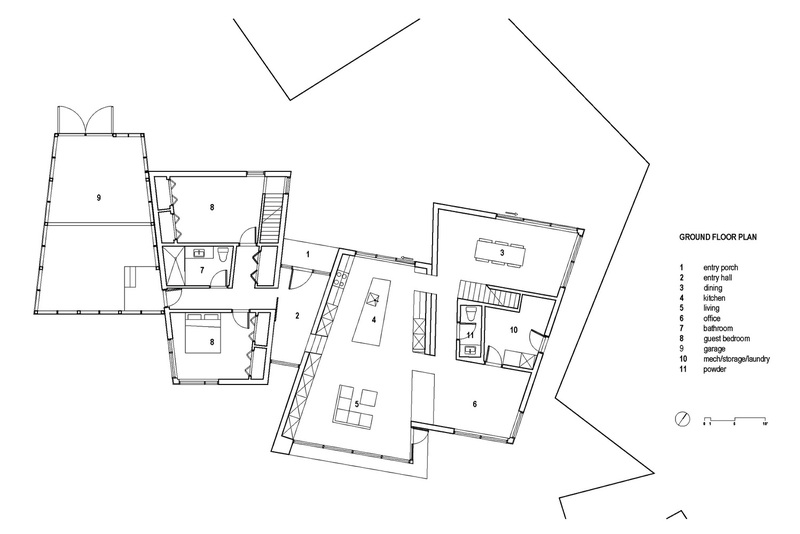 The plan is a linear, but also a twisted and offset connection of four trapezoidal forms, that separates the dwelling into different living zones. The architect, Omar Gandhi brilliantly twisted the vernacular tradition of maritime wooden sheds. The interior is clean and crisp, with a variation between clean white and a semi-dark wood veneer. The stark contrast between the white concrete and accent materials is reminiscent of Mies van der Rohe-esque minimalist modernism. 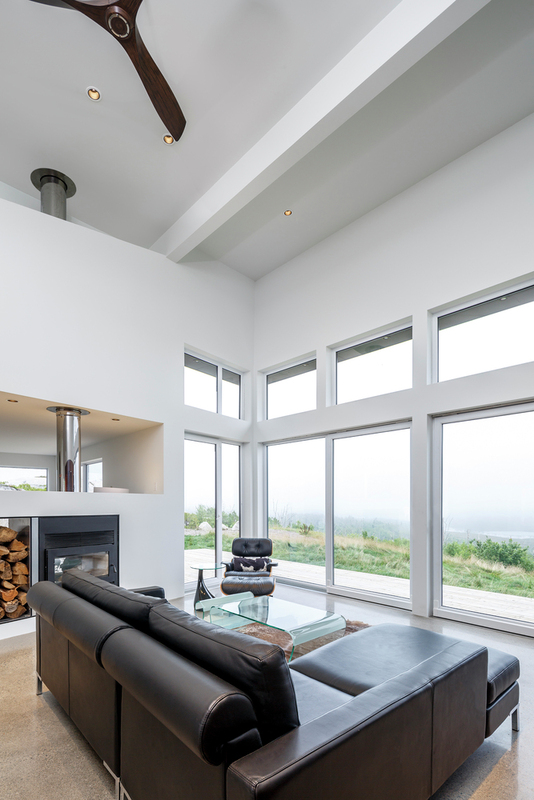 In contrast to the sweeping ocean vistas viewed from the living room, the north-east wing is cradled by natural stone which encasses the dining area in an exterior 'sculptural space'. I love the contrast. The exterior is coated in a soft, light spruce, which complements the rustic landscape and grounds the structure with its place. 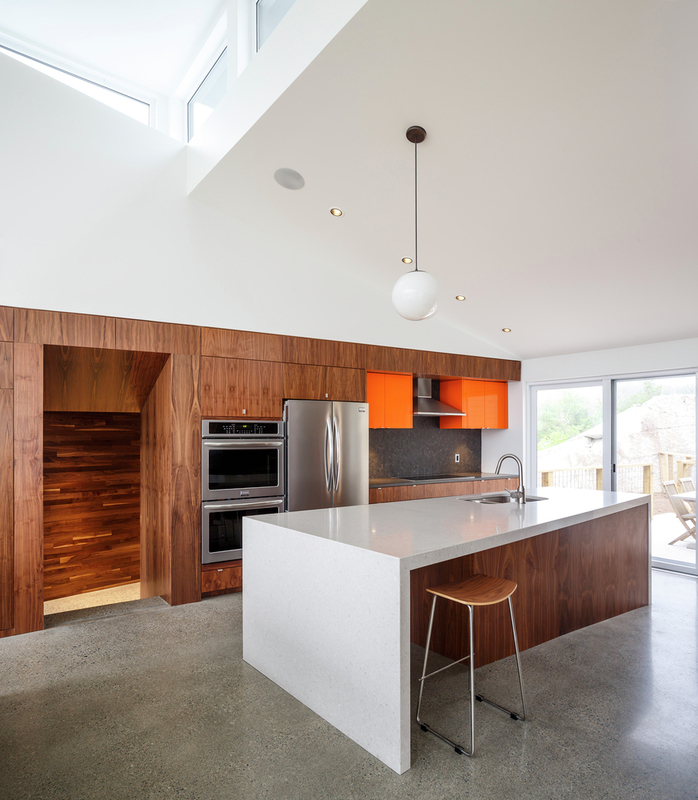 The varying patterns of the wood even mimics the rich strata of the bedrock surrounding it. Works like The Float House are exquisite teachers of a simple - but often overlooked - lesson in celebrating vernacular: a successful building engages and mirrors its environment – rather than being isolated from its surrounding. This is what we love at Houseporn.ca. 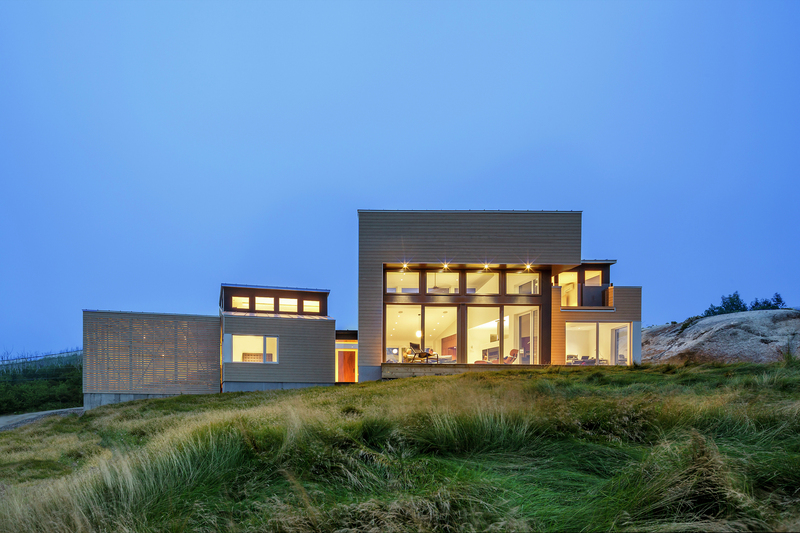 For more innovative design, check out Omar Gandhi Architect! All photographs are provided by Doublespace Photography.